Needless to say, weddings take a lot of planning and attention to detail. While the Pinterest hunt for inspiration is so fun and exciting leading up to your special day, it can be hard to decide with so many beautiful options in front of you! Here are some eye-catching details that can be tweaked and tailored to fit any style. From rustic to classic, let's take a look at some stunning dresses, flowers, and details galore! Rounded, squared, bold or dainty... there are endless options for an arch behind you on your wedding day! It serves as an elegant and simple background that draws the attention to the couple underneath it. TIP: Look up some tutorials and put together your own! It's easy on the wallet and a fun project for you and your spouse/family to do together. OK maybe that title was cheesy, but who says the ladies get to have all the accessories on your wedding day?! 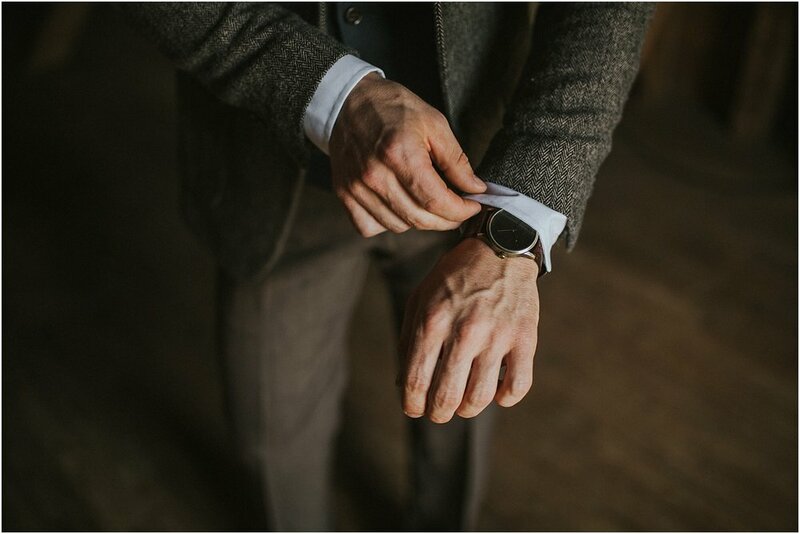 Watches are a bold detail that pull together an outfit and leave you looking and feeling sharp. There's definitely one out there for every personality! Eucalyptus is always a YES from me! The muted tone and unique shape to the leaves fill out a bouquet for an airy and elegant look, as well as being a less expensive option to additional flowers. This greenery is a stunning touch to not only a bouquet, but to a centerpiece or even a flower crown for your hair! Did you know eucalyptus can last without any water? Save it for some home decor after the wedding! I've been seeing lace all over the place in the wedding world recently and I can't complain! The delicate touch and subtle detail it adds to a dress pulls off a vintage and classy look at the same time. It's not limited to dress style either! No matter what details, colors, or styles you move forward with, at the end of the day... pick something that represents YOU! What are your favorite wedding details and trends?